Whatever your business does, you probably need to provide quotes to your clients. Getting your quotes right can make your business look more professional and increase trust in your brand, leading directly to an improved reputation and increased sales. But what is a quote? Why are quotes so important? And do you need a quote creator app to get your quotes right? Here we share everything we know about quotes, including the ways our Billdu online quote generator can help make the entire process quicker and easier for you. A quote is a document which tells the customer what you will charge them for doing a particular job. Not all businesses need to use quotes – if you sell goods, for example, you will normally have standardized prices listed so the customer can see straight away what price they will pay for the items they want. However, if your business provides services, it is likely that every job will be different, so if a potential client is interested in hiring you to do the work, they will probably ask you to provide a quote. This is why quotes are so important; a good quote can make the difference when it comes to getting chosen over your competitors. If someone asks you for a quote, this means they are seriously interested in hiring you. The quote is normally provided at the stage when you have had a detailed consultation with the client. You’ll know the nature and scope of the job, how long it will take, how many team members will be needed and what materials you will need, as well as timescales and budgets. Once you have all this information, you can work out how much to charge for the job by pricing all the elements and adding them together. Why are quotes so important for businesses? Quotes are extremely important because they increase the levels of trust and transparency between you and your clients. They demonstrate that your business is a professionally-run outfit which has a clear and consistent pricing structure and can break down each element of a job into separate charges. This shows the customer that you have a clear idea of the amount of work involved in the job and that you are open about your pricing so they won’t face any hidden costs further down the line. A quote also sets out clearly in writing the terms and conditions of business between you and the client. That way everyone knows what is expected of them and the client has the peace of mind that they are protected should these terms and conditions be broken. If a business is not prepared to give a written budgeting quote for a job, this gives out a warning sign to the customer. Then they are likely to award the contract elsewhere. By providing them with a quote, you are demonstrating the trustworthy nature of your business and letting the client know you want to be considered as a serious contender for the work. In addition, when you are starting out in business, learning how to create a quote can focus your mind, too. It requires you to analyze what you believe your services are worth and how much to charge for your time, as well as helping you to understand the scope and gain a clearer idea of the amount of work involved in different jobs. Quotes, estimates, proposals and bids are all documents that are regularly used in business, but many people don’t know the difference between them. It is essential to know what each one is so you can conduct your business properly. A quote is a legally binding document. This means that the price you charge for the job can’t be changed once the quote has been accepted by the client. Even if the job ends up involving a lot more work than you anticipated, you can’t charge any extra for the additional workload. An estimate is a lot more flexible than a quote. It is not a binding document so it is basically your best guess at what the job will cost, subject to change. 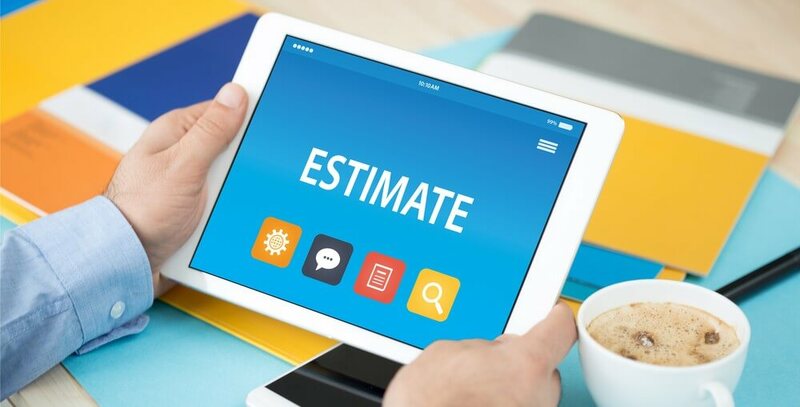 If you want to give your customer confidence without the legal formality of a quote, you can give them a number of different estimates based on best-case, worst-case and average scenarios to prevent them from being too surprised by the costs if the job does not run smoothly. However, if you end up charging significantly more than you estimated, this will have a negative effect on the reputation of your business. Providing a quote will always inspire more trust and confidence than an estimate as it shows the client you are prepared to keep to your word. A proposal is a document which aims to persuade the client to buy a product or service from you. It is a longer document than a quote or estimate. It will often give an overview of the problem before explaining how your business can solve it, providing a detailed strategy along with the qualifications and experience of key team members, as well as a schedule and costs. A proposal is not legally binding unless the client hires you. Even then, a proposal only becomes a legal document once it has been signed and dated by the client and you have received the first payment. A bid is a competitive document. The client has asked several different businesses to bid for the work so your bid is an attempt to persuade them to choose you. It should explain exactly how you intend to tackle the job and what unique qualities you will bring to it. It should also contain an exact quote rather than an estimate to give the client extra confidence. Once a bid has been accepted it becomes legally binding, so you then have to stick to the terms you have stated in your bid, including the price. Understanding quotes in comparison to these other documents is key to making sure you get them right. What information should a quote contain? Unique reference numbers – a client number and a quote number. Contact information– names, addresses and telephone numbers for your business and the client. Pricing– this should be itemized so the client can see exactly what they are paying for each element of the job, such as labor and materials. All items should then be added up so the total price can be seen clearly. Timetable– a schedule for the job including the completion date. Payment terms– this section should tell the client when and how you want to be paid, including how many installments and the due dates of all payments. Valid until– quotes are very rarely open-ended as prices can change quickly. It is normal to include a “valid until” date on your quote, which is often 30 days from the date the quote is issued. Terms and conditions– these are the legal terms and conditions for your services, so it might help to have a lawyer draft them with you. They should be written in simple language so all clients can understand them. Signature lines– there need to be lines or spaces at the bottom of the quote so you and the client can both sign and date it, making it legally binding. As quotes are complex and require a lot of information to be included, they can become time-consuming if you have to prepare them regularly. For this reason, many small businesses choose to use quotes maker software or apps to take the effort and stress out of the process. 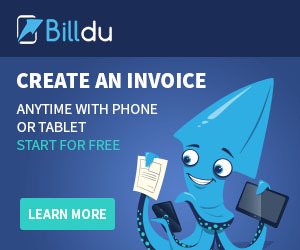 Billdu is a solution designed to make finances and administration easier for small businesses. One of its many features is a professional quote maker, which enables you to produce impressive, professional-looking quotes quickly and easily. It offers a template, which contains all the relevant information you need to include in your quotes. This saves you a lot of time in creating quotes and ensures that nothing is left out, giving your clients confidence and peace of mind. This means your quotes are much more likely to be accepted, increasing the success of your business. 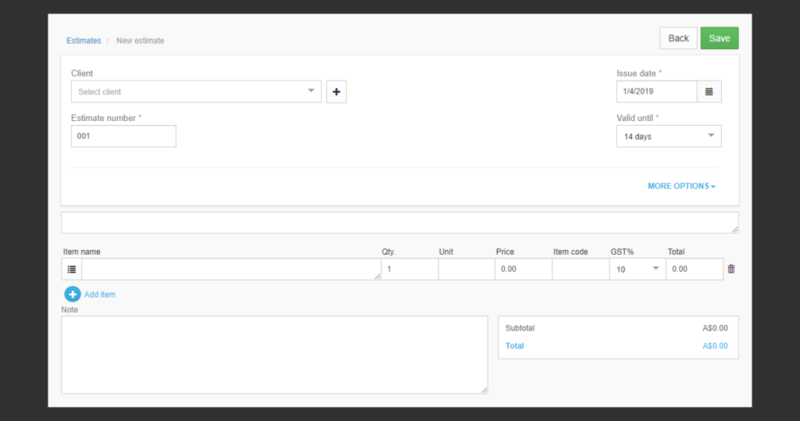 Billdu also allows you to create estimates, in case these are ever required by any of your clients. The main advantage of Billdu is that it is a cloud-based system, so everything is stored securely and in an orderly fashion. Every time you create a quote, it integrates with the system, making it easier for you to keep track of the jobs you are working on and ensuring the right amounts are invoiced for. It also enables you to check that payments are made on time so jobs can run more smoothly. In addition, the template is easy to customize. You can give your quotes a more professional look by including your business branding. This makes you more memorable to your clients, and also makes your business appear more established and successful. This gives you the ultimate flexibility as it means you can create and send quotes from any PC or mobile device. We understand that business does not stop when you leave the office, so no matter where you are, you can always provide professional quotes with Billdu. You can try our online quote maker for free by signing up for a trial today! Try Billdu today to start creating professional quotes via our user-friendly online dashboard and mobile apps. You can register for a free trial below.